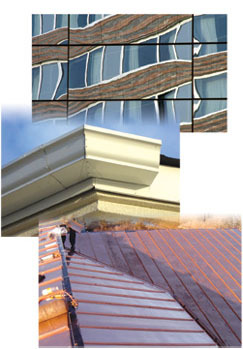 KNS has been handling small and large exterior restoration and roofing projects since 1965. 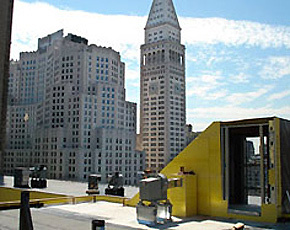 Our experience with New York’s architects, engineers, and property owners means we have the knowledge to solve roofing and waterproofing problems while keeping costs under control. Our approach to waterproofing, exterior restoration and roofing is driven by our hands-on owners. At KNS, the responsibility for every project stays with the company' founders and partners who oversee and estimate every job that comes to KNS. Our personal oversight means our work is done right. We’ve built our reputation on it. KNS was founded in 1965 by Constantine and Stefano Malatos who specialized in exterior masonry work. The company expanded to include roofing and waterproofing when they were joined by Tony Malatos and later, Anthony Ballato and James Malatos, each of whom brings a different area of expertise to KNS. James, with a degree in architecture, helps make sure KNS’ restoration work is second to none. The company recently moved to expanded headquarters in Middle Village, Queens. Its 21,000 sq ft facility include a metal shop, engineering department, offices and conference room. KNS cares about its community.